A hareidi-religous family from the center of the country arrived Sunday morning at the headquarters of the Israel Lottery in Tel Aviv – to collect the NIS 2 million ($600,000) prize they won in Saturday night's lottery drawing. Few details were released about the family, as is customary among winners of lotteries and drawings in Israel. The family is said to be a large one, with the parents in their 50s. The head of the household, who refused to let photographers take his picture, said that they would use part of their winnings to pay for weddings for several of their children, who are already engaged. 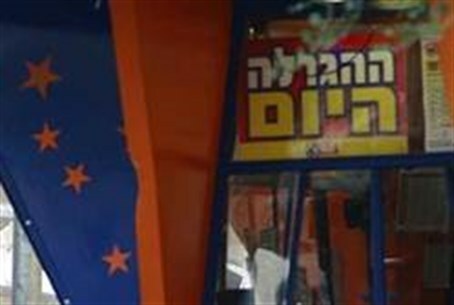 While halachic authorities strongly criticize gambling, many permit “playing” the lottery, because the money patrons pay for tickets is mostly used for the benefit of schools and community centers, and qualifies as a form of charity.